When the temperature drops, there’s nothing I love more than curling up with a soothing hot bowl of soup. 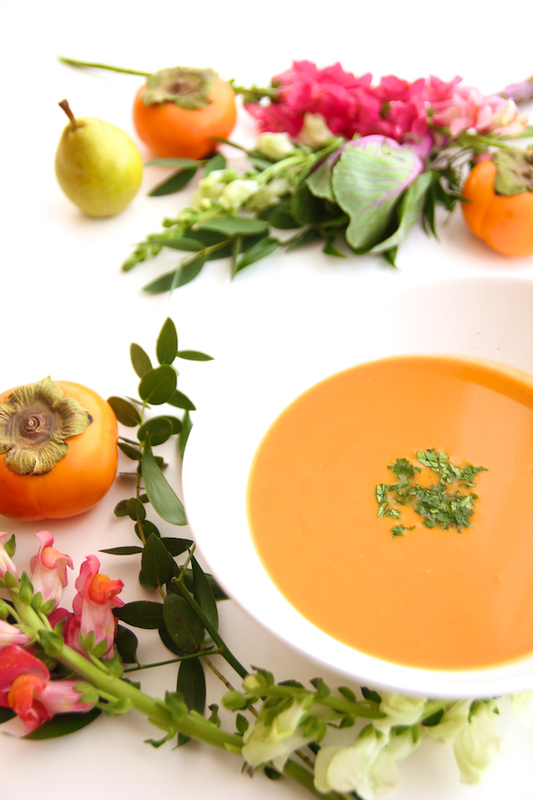 And what better soup to heal your soul during fall than a pumpkin one? 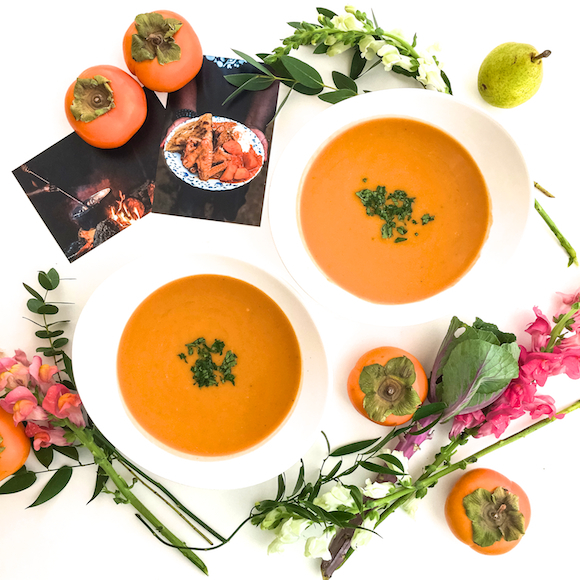 I make this roasted pumpkin soup on rotation throughout the colder months and it’s rich, velvety, and simply luxurious. The coconut milk gives it a nice, silky texture and is pure coziness in a bowl. Last week, I attended a dinner hosted by World Vision Canada to celebrate food in support of their #hungerfree campaign. With 795 million people chronically under-nourished around the world, the goal of this movement is to unite Canadians around the idea that everyone deserves access to a sustainable supply of healthy and nutritious food. As today is Thanksgiving for all my fellow Canadians, I thought I’d share my Meaningful Meal with you all and inspire you to create your own Meaningful Meal. With World Food Day approaching on October 16th, I encourage everyone to support the #hungerfree movement by hosting your own Meaningful Meal, donating to World Vision, and then sharing your Meaningful Meal on social media with the hashtag #hungerfree. For more information and to get started, check out www.hungerfree.ca. Preheat the oven to 400 degrees. Using a heavy, sharp knife or cleaver, cut the pumpkin into quarters and place on a baking sheet. Roast for 1 hour. Remove the pumpkin from the oven and set aside to cool for about 15 minutes. When cooled, peel the skin from the flesh and chop the pumpkin into bite-sized chunks (the smaller the better). In a large pot or Dutch oven, heat the oil over medium heat. Add the onion, garlic, and ginger and fry for a few minutes. Add the tomato paste and fry for another few minutes. Add the curry powder and coconut Thai seasoning and fry for another minute. Add the pumpkin chunks and salt, and fry everything together for about 5 minutes, stirring to ensure everything is incorporated well. Stir in the coconut milk and chicken broth and bring to a boil. Then turn the heat down to low and cover the pot. Simmer for 30 minutes. 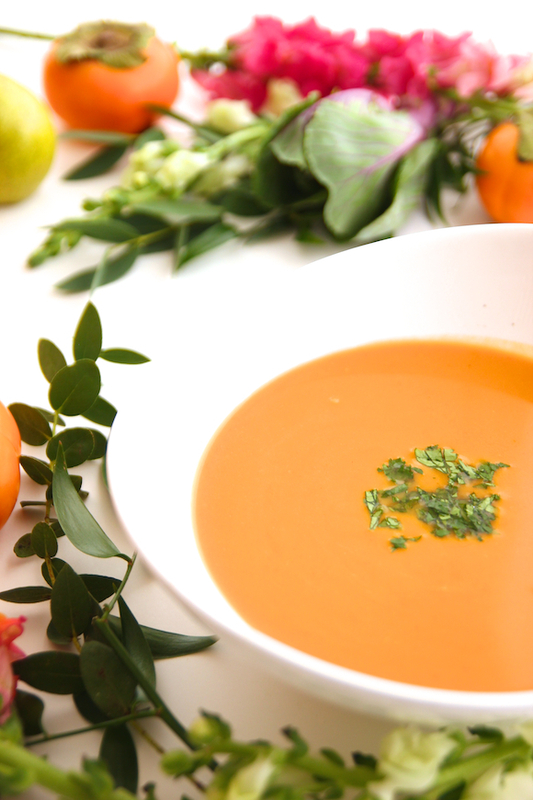 Turn off the heat and puree the soup with an immersion blender or pour the soup in batches into a blender. Be sure to hold the top down with a towel and blend carefully. Add more salt if needed. 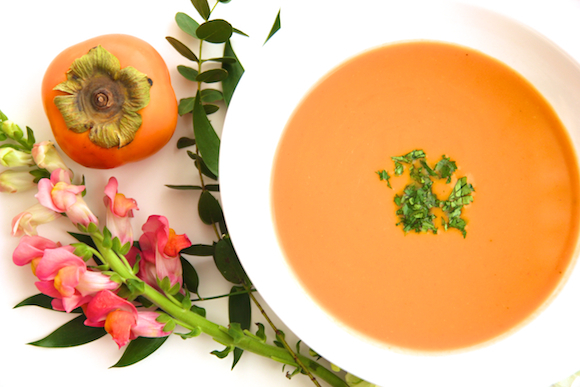 Pour the soup into bowls and garnish with cilantro or parsley. Let’s celebrate food and help create a #hungerfree world. Happy Thanksgiving! Thanks Tiffany for this beautiful post!I love pumpkin and I love coconut, so I'll be sure to try this recipe out. Your photography skills is also on point and I'm inspired to recreate photos like these. I am grateful to have found your blog! Thanks so much Susan! You are too sweet! Let me know how you like the soup!